What’s the most economical and influential way to get a response through direct-mail marketing? Postcards. Every business wants to motivate customers to take the next step in the buying process and with the right mailing list of a highly targeted audience, you can use postcards to boost your company’s lead ratio and drive sales through the roof. 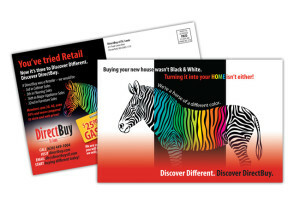 Here are five ways postcards can market your business. DirectBuy 6” x 9” Postcard on 16 pt. stock, UV coated on front. 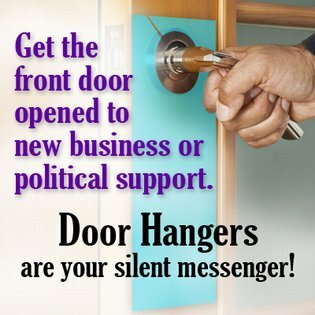 Included design, print, direct mail handling. First in a series of postcards. Despite social media and the Internet, the most effective direct-marketing technique in the United States today is postcard-to-website marketing. In fact, when it comes to the response achieved by postcard marketing, online marketing techniques pale in comparison. True, online marketing can produce volume but online marketing can’t produce targeted visitors who already want what your company is selling. With postcards you can send a targeted audience a great offer and a special URL to visit or a special discount/coupon code they can use to redeem the offer. 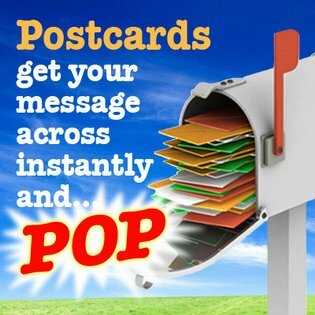 Not only will your postcard drive a response from customers, you’ll be able to track it too. By far, the best and most powerful marketing method that exists is word of mouth. This is because people trust their family and friends’ opinions. While word of mouth can’t be bought or sold, you can use a postcard to ask your current customers for referrals to other customers who would also benefit from your products and services. In return, reward these loyal customers with a special discount or offer. Postcards are a great way to promote events and special in-store sales by inviting your VIP customers. And one way to track customer response is by offering coupons redeemable on special event dates. Make sure your prospects know they’re VIPs and treat them as such, making sure they know where, when and how to redeem the special offer you’ve extended. Companies are always looking for ways to get repeat business and a quick thank-you postcard is a good way to encourage it. When customers feel valued and that your company appreciates their business, they are more likely to return. Postcards are a good way to express your company’s appreciation of its customers. A thank-you campaign that includes a VIP customer coupon on a postcard expresses customer appreciation and lets you track the effectiveness of a thank-you campaign. Publishing a newsletter for your customers takes time and some months there’s not enough news to create content to fill an entire four-page standard newsletter. The solution? The newsletter postcard or newscard. A newscard allows you to feature two to three small items of importance every month. For maximum impact, print one item of importance on the back of your postcard and two on the postcard’s front. Economical to print and mail, postcards are powerful promotional tools that can be used to call customers to action, announce events and drive sales. With a highly targeted mailing list, a strong call to action and a coupon code/discount offer, your company’s postcard marketing efforts will be abundantly rewarded. 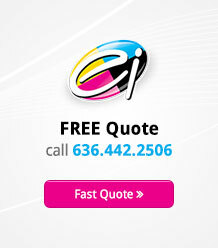 Contact the experts at Electro Image LLC for successful ways to market your business with postcards.